THRILL TO the Wanamaker Organ as it only can be appreciated after hours, with the fully unleashed, thunderous power of 29,000 pipes! 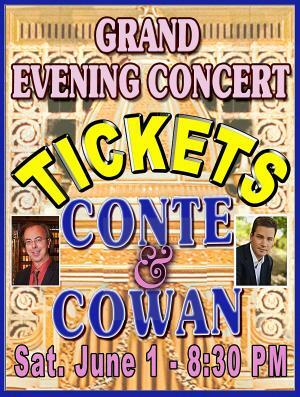 Ken Cowan and Peter Richard Conte star, with PRC playing his thrilling transcription of Elgar's Enigma Variations. New details will be posted as we receive them.